Desperate to do something about your shape, posture and muscle tone? Want to take control of your ever expanding waistline? There’s something you can do today! 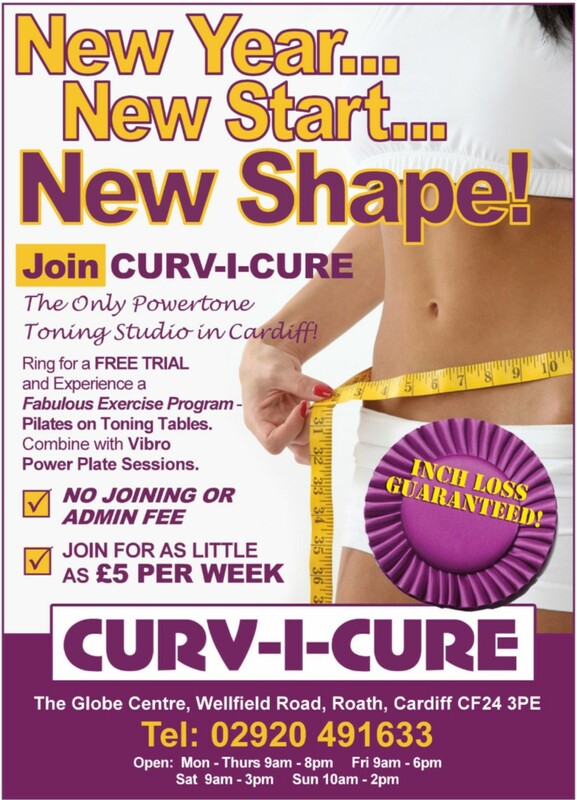 Cardiff’s only Powertone Shapemaster Centre is here to help you lose weight and improve mobility! It’s time to take some positive action – join now! “Just over a year ago I made one of the best decisions of my life regarding my health and appearance, I took positive action to improve both these important aspects of my life! For quite some years my general health and well being had been getting gradually worse. I suffered from chronic constant pain from my knee joints due to arthritis and this condition was exacerbated by being overweight and unfit. Following a recommendation from my Osteopath, I made an appointment with Curv-I-Cure and took a free Trial on the Toning table. Pain had gradually made it harder and harder to exercise and the consequence of this inactivity caused me to gain a lot of weight accumulating over a number of years. Ring and book today for a FREE TRIAL!